Established in 1971 in New Bedford, MA by members of the Portuguese community, the Immigrants’ Assistance Center (IAC) has been helping immigrants on the path to citizenship overcome language, cultural and economic barriers, and integrate into the American way of life while maintaining their ethnic identity and pride. The IAC is where immigrants turn when first in the US for basic needs like food, shelter, and clothing. As well, the IAC helps immigrants travel the often rocky and complex road to citizenship, and ultimately to secure employment and develop financial self-sufficiency. In doing so, the IAC provides direct and indirect services to immigrants and non-English speaking persons, including referral to any and all existing public and private agencies that will assist them in satisfying their social, economic and cultural needs. 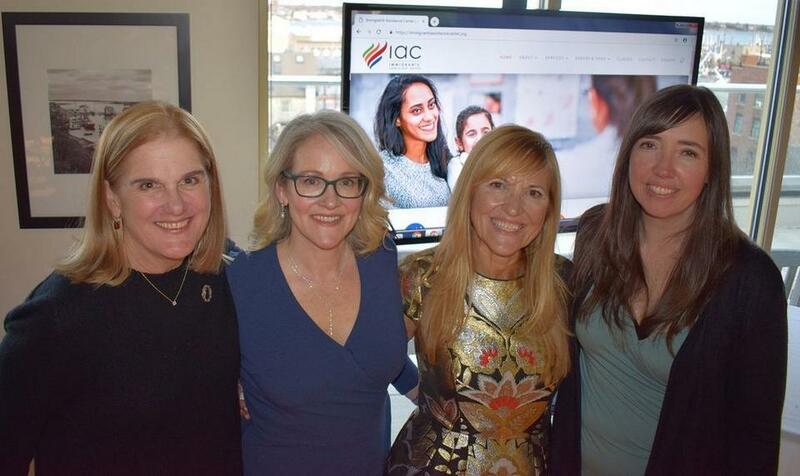 As a 501(c)3 charitable organization, the IAC now serves upwards of 12,000 clients annually with a staff of 10 professionals and a cadre of volunteers. Our case managers are multi-lingual, speaking five languages, and multicultural, able to fully understand the subtleties of culturally-based dreams and fears. The IAC will also actively solicit financial and other types of assistance for the above purposes and, in general, to improve the quality of life in the immigrant and non-English speaking community, within the exclusively charitable meaning of section 501c (3) of the Internal Revenue Act of 1954.